Husnaara ran to her house smiling from ear to ear as if she could not get any happier. At that point nothing seemed impossible; she could become a doctor, an engineer or a lawyer, go to a good university. She could not wait to give her father the news about her Secondary School Certificate results and assure him that his daughter would one day be able to provide for them. Husnaara ran to her house smiling from ear to ear as if she could not get any happier. At that point nothing seemed impossible; she could become a doctor, an engineer or a lawyer, go to a good university. She could not wait to give her father the news about her Secondary School Certificate results and assure him that his daughter would one day be able to provide for them. Little did she know about his struggle to manage a day’s meal and that paying for her education was next to impossible. Husnaara never got to pursue higher education. She was married off to Moyez Uddin who, like many poor men in Bangladesh, expected marriage can bring financial stability and happiness. When Husnaara stepped in Moyez Uddin’s house she knew life would not be easy. Husnaara did not want to be a burden for Moyez Uddin as well and decided to not let poverty define her fate. She joined BRAC’s northwest crop diversification project. Husnaara channeled her passion to learn and her desire for financial stability to complete the NCDP training. She had limited money to buy land nor assets to take a large loan and hence, took a small loan of BDT 30,000 (USD 360) from BRAC and started growing vegetables which not only generated income but also provided proper nutrition for her family. Her hard work paid off; she made a large profit. BRAC, noticing her potential to earn, lent her larger amounts. Husnaara invests more time in her garden not only for revenue but also to fulfill her passion for learning through her work. “Every day the garden teaches me something new,” she says. Now Husnaara earns at least BDT 35,000 (USD 425) a month. She can pay her rent, provide for her family, send her children to school and afford to cook a special meal once a week. “I like to cook Biriyani and prawn curry in weekends for my children,” she says. The majority of the world’s poor are farmers. Their livelihoods are grossly dependent on a number of factors that range from access to finance, access to farming inputs and extension, market linkages, to favourable weather conditions. Financial services play a key role in the livelihoods of farmers, especially female farmers who have disproportionately less access to markets and capital. Adequate access to financial services that are tailored to meet their needs can have a huge impact. Take Bangladesh for example, where Husnaara lives, over half of the nation’s working population is engaged either directly or indirectly in agriculture. More than 77% of the workforce live in rural areas with 87% of rural households relying on agriculture for at least part of their income. 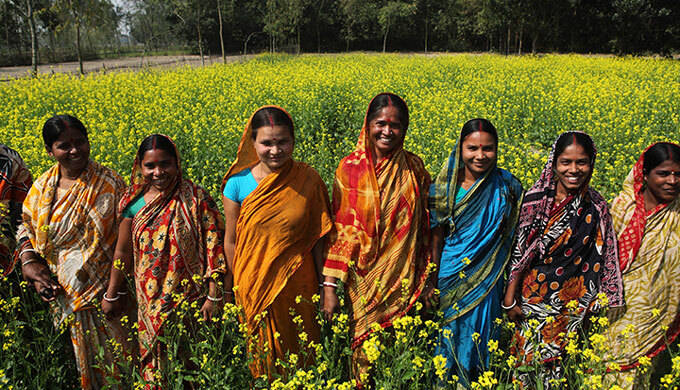 Across the developing world, rural women play an essential role in agriculture, Bangladesh being no exception, an estimated 69% of women in rural areas work in agriculture, (alongside their household work). That is a large segment of the economy reliant on women farmers. In spite of their contribution, women farmers often risk being victims of inequity. Many lag behind mainly due to limited financial knowledge, access to capital and inputs, and disparities in land rights and ownership. Patriarchal norms also limit fair recognition of their labour. Female farmers also have less awareness of fair market pricing and limited bargaining power to market their goods. 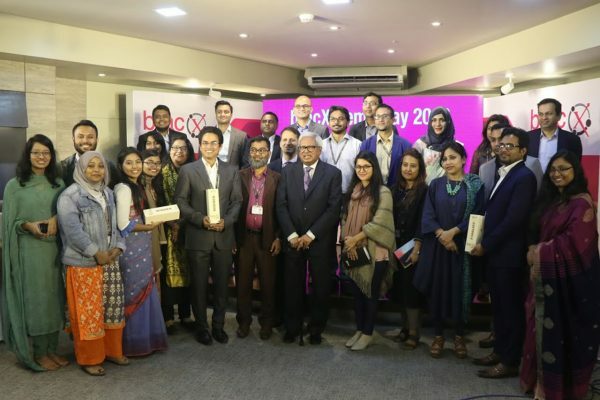 In recognition of the sizable demand for financial services in this sector and the vital role of agriculture in the country, BRAC has three special projects in microfinance designed to empower farmers, strengthen sector-wide agricultural practice and also focus on promoting gender equity by strongly encouraging participation from women farmers. Apart from access to finance (loans and a savings account), each of these projects provides training, productive inputs and business support which enables female farmers to come forth and set up sustainable agricultural enterprises of their own. As a result, women farmers, like Husnaara, are able to take charge of their own lives and build stable livelihoods that extend beyond improving health, and nutrition, but even help to relegate national dependency on exported agricultural products. Amidst countless stories of success, strength and resilience comes one more that shows how, given opportunity and recognition, female farmers not only thrive themselves but generate opportunity for others. “Sometimes life gets so difficult that we stop looking for a way out; I never thought that I would stop worrying about the next meal or how to make my only sari last for the next six months. Now I can pay for my needs and also save for the future,” said Nurunnahar, as she demonstrated her lychee and guava plants and skillfully guided her employees to manure the plants. 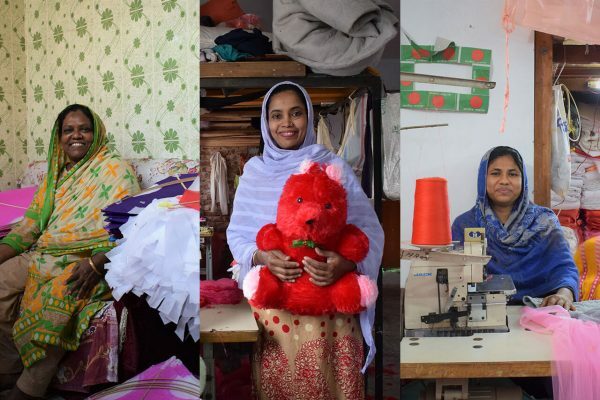 Nurunnahar, who was once living in poverty, is an entrepreneur today. She is providing for her family, creating jobs and addressing the limited supply of homegrown nutritious foods in Bangladesh. Coming from a poor family with 10 siblings, as a child, Nurunnahar left school and married at an early age to unburden her father. Due to familial conflict she and her husband were forced out of her in-law’s house, with little food and nowhere to live. In 2002, Nurunnahar decided to enroll herself in BRAC’s northwest crop diversification project where she received training on efficient farming techniques and necessary financial skills. Inspired by the success stories of many others who worked with BRAC, she completed the training and mustered the confidence to take a loan of BDT 20,000 (USD 242), and transformed her backyard into a full-fledged vegetable business. She sold her fresh produce and made a stunning profit of BDT 40,000 (USD 485) that year. For the first time, instead of worrying about the future, she looked forward to it. 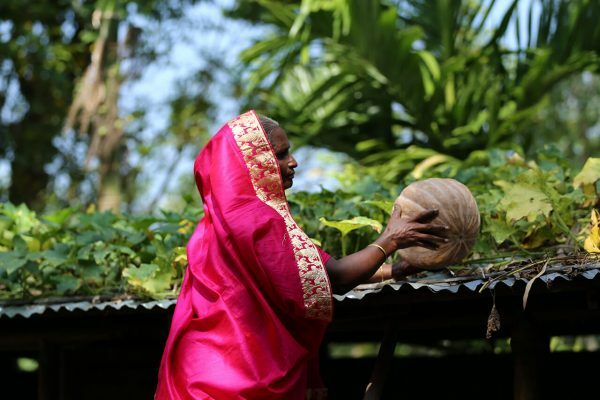 Today, Nurunnahar owns 15 Bighas (an acre equivalent) of land where she grows a variety of fruits and vegetables. She also owns a poultry farm and a dairy farm where she employs approximately 50 workers. Nurunnahar who once did not know how to manage her next meal, now earns BDT 105,000 (USD 1,275) a month. Nurunnahar has proven to herself and others around her that poverty is not a given, but a condition that can be changed. Originally posted on the Business Fights Poverty blog. Oishi Nawal is an assistant manager at BRAC Microfinance Programme.